Ribstone Ranch will be a new community where residents can easily let go of stress and connect with nature and open space in a thoughtfully designed community that embraces the beautiful countryside and exudes rural character. It will be a community that offers a diverse range of housing options while preserving over half of the site as open space (Environmental Reserve, Municipal Reserve and Home Owners Association). While the community will accommodate 2,600 homes, Ribstone Ranch will not feel like an urban community placed in the countryside. Aside from the country estate lots, all lots will back onto green space and follow a curved street system that works with the sites overall topography. Through its strategic design, principal based development and attention to the smallest of details Ribstone Ranch will strike a balance between helping the MD achieve its growth and density goals for the Central District while creating a place future residents will be proud to call home and those who live near by will be proud to call neighbours. Earlier in November, Ribstone Ranch sent out a newsletter to our neighbours. 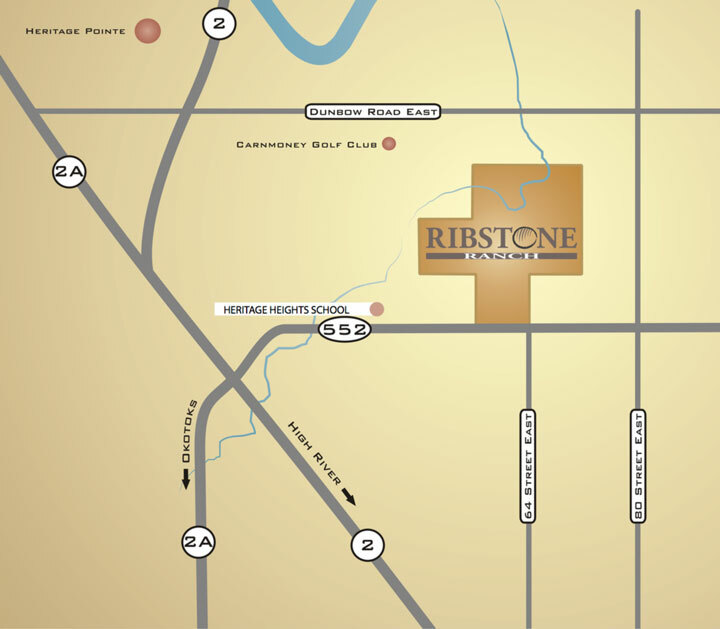 Ribstone is located on 914 acres located east of The Shannon’s development and north of Highway 552. It can currently be accessed using 64th Street. It is one half mile south of Dunbow Road, east of the Carnmoney Golf course on land formerly owned by the Hunt family. The proposed community is located in the MD of Foothill’s Central District, which has been identified by the MD as the most appropriate location for future growth. Highfield Investment Group (HIG), (formerly Theologian Management Ltd.) and WK Beattie Holdings have owned Ribstone Ranch since 1993. They hope to develop a unique community that is designed through extensive input by key stakeholders and the community at large. Using a planning and design philosophy that ensures a balance of social, environmental and economic values, the Ribstone Ranch team is excited and sincere about using a community approach to design for this project. Why create a community here? 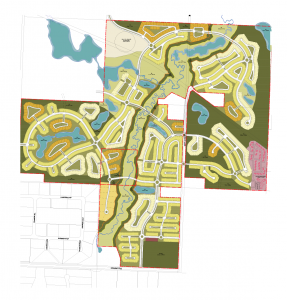 The MD has revised their Municipal Development Plan and is currently revising their Land Use Bylaw to accommodate and encourage densities of 3.0 to 5.0 units per acre. The MD has also designated this area as part of the “Central District” in their 2013 Growth Management Strategy where they want to see development occur. We are proposing to make an application for Country Estate Residential Zoning on full water and wastewater utility servicing. The deep utility servicing will be scalable to allow for regional connections.